Name: Here is the Summer Palace of Peter the Great. 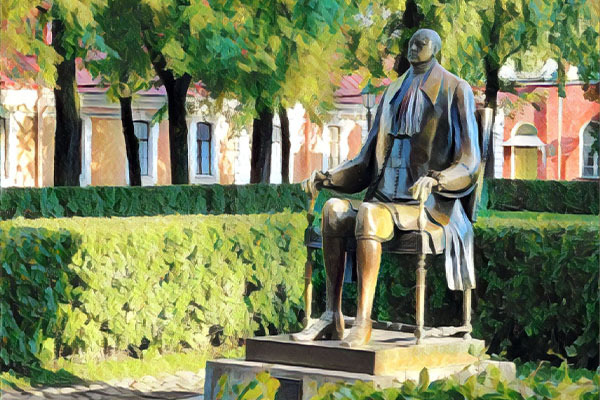 Interesting facts: In the Summer Garden the Assemblies and major festivals in the Era of Peter the Great were celebrated. In keeping with an imperial decree, the city elite was compulsorily obliged to appear at the assembly. Regardless of the weather, it was strictly forbidden to leave the Summer Garden during the festivity. The soldiers wore huge vats of vodka along the alleys and were forced to drink for the health of the sovereign. If Peter noticed that someone was trying to evade the fun, the offender was forced to drink a goblet of the Great Eagle Cup – about 1.5 liters of vodka. Not everyone survived after such a “penalty”, fainting was very common, but the tsar himself was having a good time. Subsequently, the Summer Garden got a much more romantic look and the aristocracy walked here sedately, voluntarily and gladly. Legend: legend tells that it is here Peter the Great planted tomatoes and potatoes first time in the history of Russia.